As Apple continues to sell more coveted iDevices and promote cloud services, the infrastructure that makes all the apps work needs to be expanded as well. 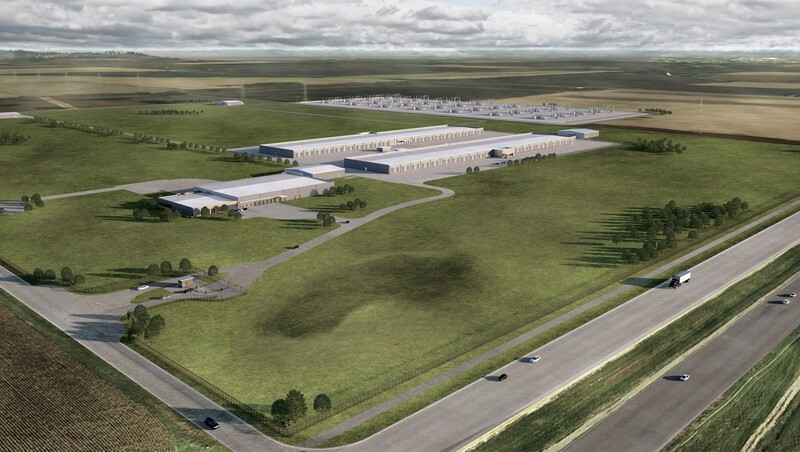 Apple has announced plans to build a 400,000 square-foot data center in Waukee, Iowa to help improve user experiences with the App Store, iMessage, Siri, Apple Music, and other web services integrated into iOS. At a cost of $1.3 billion, approximately 550 new jobs for construction workers will be created in the process of building. A $100 million contribution from Apple to a public improvement fund in Waukee, Iowa will be used to help expand city infrastructure to better meet the needs of the new data center as well as building parks, libraries, and public recreation areas. Construction of the data center is expected to start in early 2018 and will be put into use by Apple in 2020. Waukee Mayor Bill Peard is quite happy to welcome Apple to the city and expressed, "This new facility will bring with it high-quality jobs and important infrastructure developments for the city. We look forward to a continued partnership with Apple on this effort for decades to come." Apple has become an absolutely massive company in terms of revenue and by number of jobs. With over $50 billion spent within the United States for supplies and manufacturing, Apple is now responsible for 2 million jobs, or it can be said that 0.6% of the US population works for Apple.